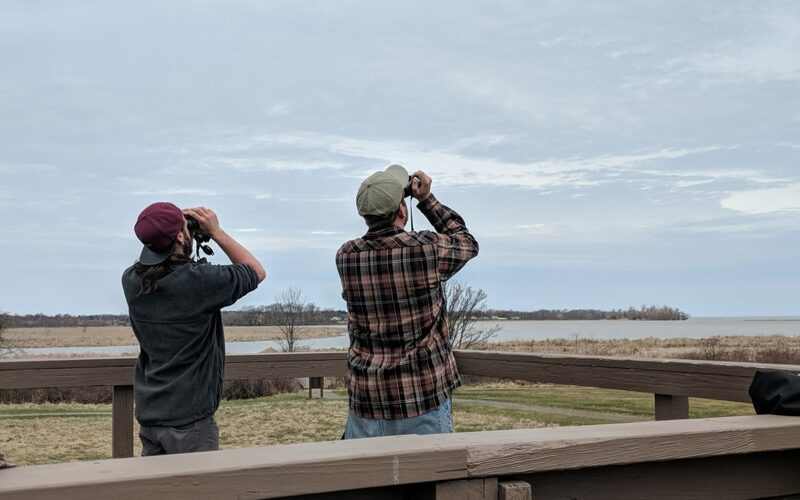 Braddock Bay Raptor Research (BBRR) is seeking an experienced hawk counter to conduct the spring raptor count at Braddock Bay. An average of 50,000 raptors, including up to 17 species, are tallied each spring at this popular migration site located on the southern shore of Lake Ontario, near Rochester, NY. The hawk counter will conduct the watch each day, 7 days/week, with days off coming during inclement weather and upon request as needed. Hourly and daily counts are entered into the online HawkCount database of the Hawk Migration Association of North America (HMANA). There is also the possibility to begin on-site data entry by using a tablet and appropriate program that integrates with HawkCount. A written report summarizing the count is required at the end of the season, and is published in the BBRR member newsletter and sent to HMANA for inclusion in the regional hawk watch summary in their journal, Hawk Migration Studies. Written weekly summaries will be encouraged for posting to local and social media. There are also opportunities for interpretive and educational programming at the watch and during public events. A monthly stipend and housing will be provided. Must have own transportation to the watch. Start and end date can be flexible. Depending on availability and funding there is the possibility to extend the count to June 5. At least 2 seasons of experience as a lead counter/observer at a comparable hawk watch site, with strong raptor identification skills (especially eastern species) and good non-raptor identification skills preferred. Applicants will need to be able to endure long days in the field, often in cold and windy conditions. Must have good people skills and demonstrate the ability to interact with visiting birders and the general public in a positive way. Send cover letter, resume and references to Daena Ford, information@bbrr.org.